I recently received a gorgeous sweater from Blue Vanilla in partnership with them to feature on my social. Since it’s been a while since I had a styling post, I figured it was about time to have another 1 Item, 3 Ways post! 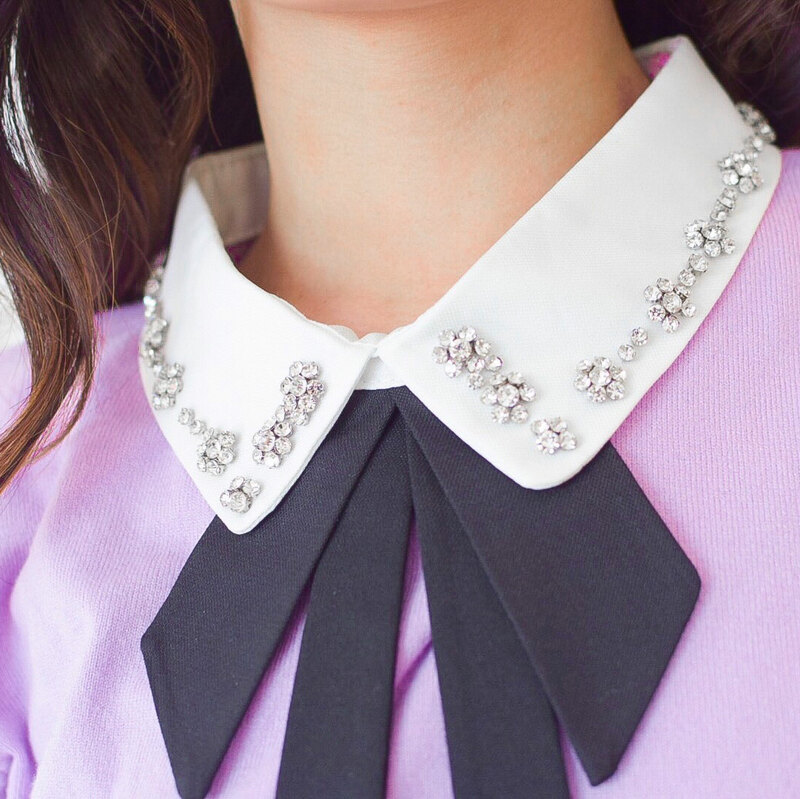 This gorgeous long sleeve lavender sweater features a beautiful collar that is attached with rhinestones and a black bow underneath; it makes for a very classy look but the pop of colour definitely makes it more fun. It’s definitely something I’d wear more so in the spring rather than winter mainly because of warmth so if you live in a warmer climate, you’ll definitely be able to draw inspiration from these outfits now! 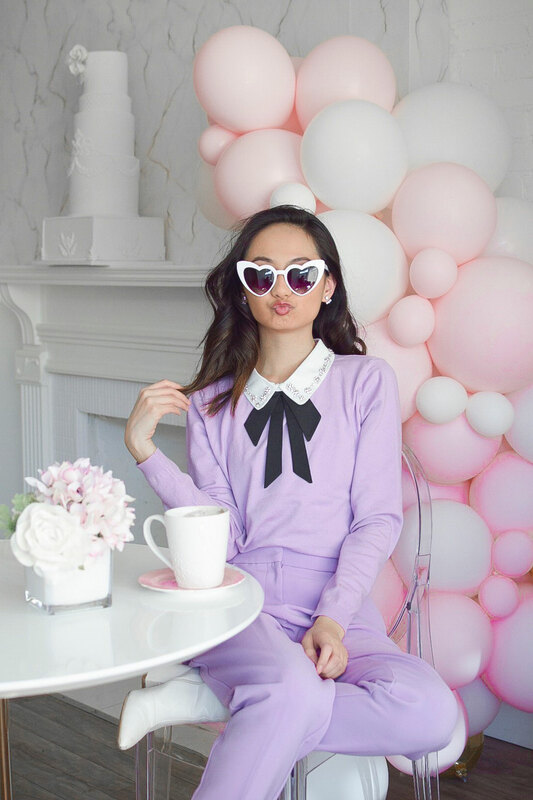 For the first outfit, I wanted to have an all lavender look which if you didn’t know, lavender is my favourite colour so I’m ALL about this outfit. I paired it with lavender dress pants I’ve had for a couple of years from Topshop that matched perfectly! To make the outfit a bit more fun, I added these heart shaped sunglasses from Sunglasses LA and tied it in together by wearing my classic white boots. 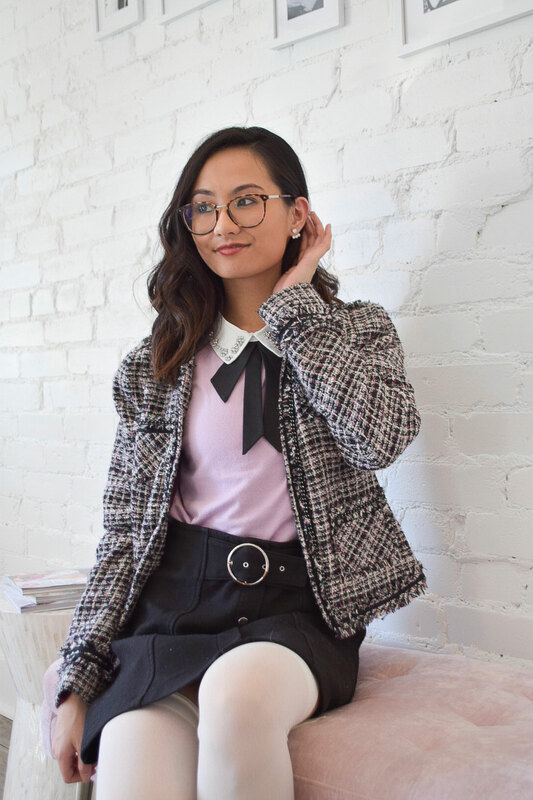 This next look has more of a Chanel inspired vibe because of the purple tweed jacket I got when I went thrifted a while back in the summer! I wanted to go for a typical classy outfit by wearing a jacket and simple skirt. Of course, booties are the way to go at the moment but I’d definitely wear my go-to Mary Jane heels with this as well! For the last outfit, I’m obsessed with how it turned out especially because it was a last minute outfit! 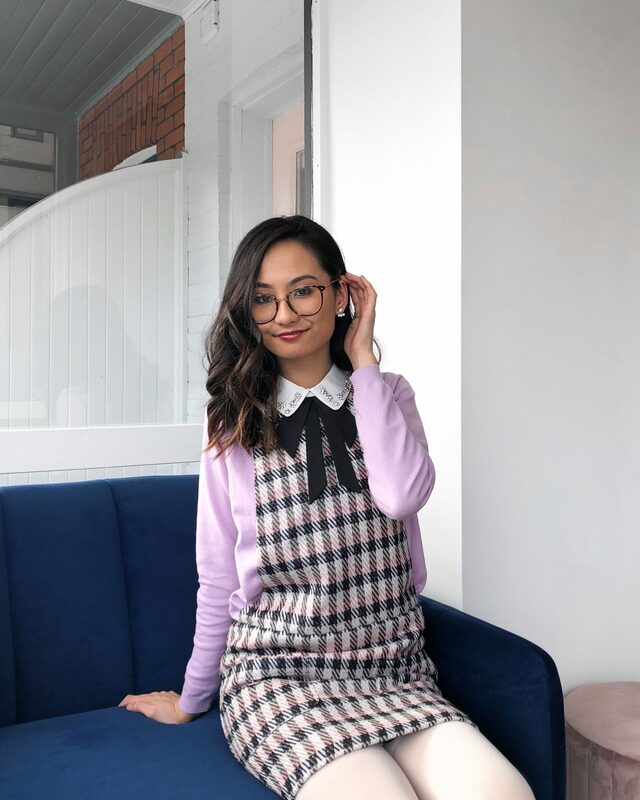 I purchased this pinafore dress during the Zara sale when it started on Boxing Day and had no clue how I’d style it on my blog. I honestly thought I’d go for the classic white turtleneck look with it but when I paired it with the sweater, the colours ended up flowing perfectly! Which look was your favourite? Let me know in the comments below! Disclaimer: Products with an aestrick were gifted to feature on my social media platforms by Blue Vanilla. All opinions are my own.